My favorite thing about these magazines is how they hand-drew accent marks on all the weird names in the articles. While tied to gaming, these magazines aren’t filled with charts and stats and other RPG-style information. 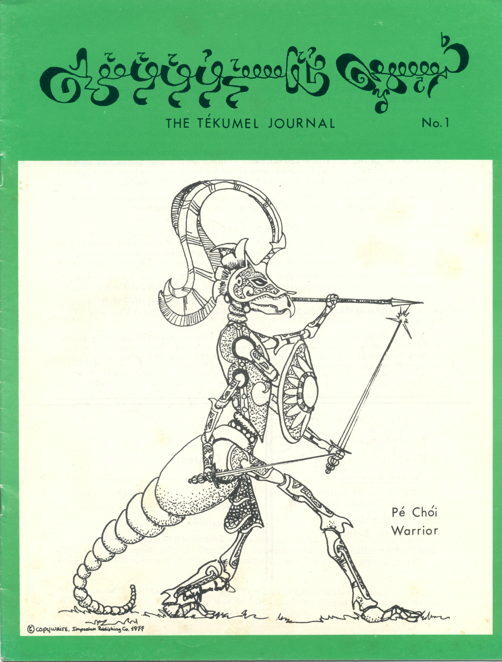 It is solely devoted to exploring the history and the characters of this fantasy setting that, apparently, had been an ongoing project of its creator since the 1940s. Wikipedia has more information about this, thankfully, since I was a bit thrown when I first pulled these things out of the box. Tékumel is really a wonderful setting. 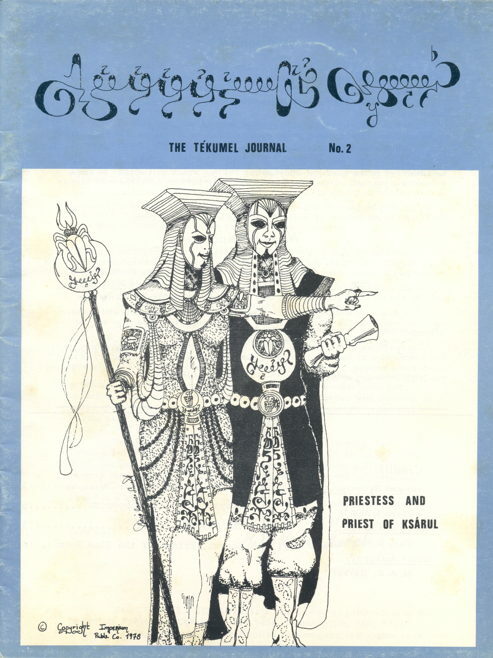 I wish I could buy your issues (although there is also an anthology called The Best of the Tékumel Journals). Ksárul is the Doomed Prince of the Blue Room, God of Knowledge and Magic. He is one of the “Gods of Change” (Chaotic deities) but he was trapped by the other Gods of Change in his Blue Room where he’s been sleeping for centuries. The cover illustrations are head-and-shoulders above the traditional RPG manual artwork from that time. Truly, yours is an enchanted life, Mt. Sterling. Hmmmm this Tékumel requires further study. Aaron – GET BACK TO WORK. Almost done with “Seymour” Mister Sterling! Are you selling these? These look terrific. Is there a bunch of stuff like this? Those are nice copies! I was always a fan of the Empire of the Petal Throne, probably going back to when comics-and-game stores were more common. For those interested i believe those two issues are available as pdfs from drivethrurpg. Tom – We have a few boxes of old RPG stuff…not a whole lot of this particular vintage, but some. I’m putting them in our eBay store once I figure out what I should be charging for them.